The top brass at Delhaize have certainly done well. After the Belgian supermarket’s agreed merger with larger Dutch rival Ahold, seven of the 14 members of the supervisory board, including the chairman, Mats Jansson, will come from the Belgian side, as well as three of the six members of the new management board. Whether their shareholders have done as well is not so clear. The board split will give the ex-Delhaize people control, since the chairman casts the deciding vote in a tie. That’s quite a coup, since Delhaize’s pre-deal market capitalisation of around 7.5 billion euros was less than half of Ahold’s 15.5 billion euros. If the deal goes through, Delhaize shareholders will own 39 percent of the combined company. But investors clearly thought Delhaize got less than they were expecting in the exchange ratio announced on Wednesday. Delhaize stock fell 5 percent. It’s true that Delhaize shares have had a decent run since news that the two sides were talking leaked in May. Still, the market reaction suggests the Dutch company, which will provide the chief executive and chief financial officers of the combination, is coming out on top in this so-called merger of equals. Delhaize shareholders are not seeing a normal takeover premium. At Wednesday’s prices, the Delhaize holders will get an uplift of around 20 percent from the exchange for Ahold stock. In a cash deal, 40 percent is considered normal. Ahold could afford to be more generous. If the management compromise does not get in the way of planned cost savings, there is a 3.5 billion euro increase in present value at stake. That comes from putting a 25 percent tax rate and a multiple of 10 on the 500 million euros of expected synergies. The premium in the Delhaize market capitalisation is only around 1.6 billion euros. Of course, Delhaize shareholders will still be holders, so they’ll gain if profit rises as expected. But they may at least wonder whether they might have got a better price if their managers had been less ambitious for seats at the boardroom table. 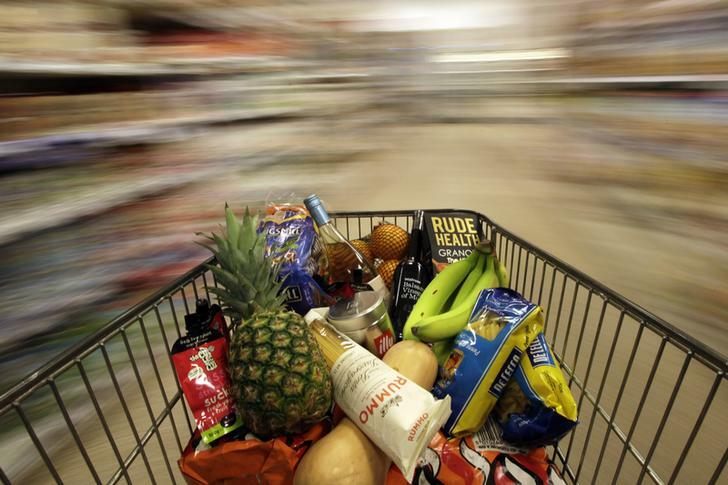 Ahold, the Dutch supermarket group, is to merge with Delhaize of Belgium. The terms of the deal will see one Delhaize share exchanged for the equivalent of 4.75 Ahold shares. Ahold shares fell 3.1 percent by 1338 BST to 18.37 euros. Delhaize stock was down 6.9 percent to 81.9 euros by the same time.